S.D.I. 's second full-length album first came out in 1988, two years after the Speed/Thrash outfit from Osnabrück, Lower Saxony had put out their eponymous (and quite infamous) debut album. “Sign of the Wicked” was recorded at the Zuckerfabrik studio in Stuttgart, Germany. 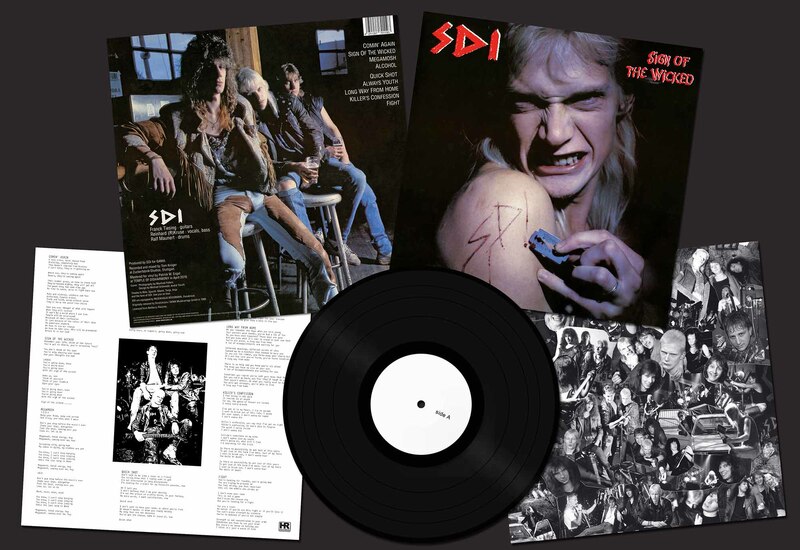 While the debut album had been recorded in a rush, “Sign of the Wicked” got all the time it needed to become the sophisticated masterpiece it is generally – and rightfully – regarded as. “Sign of the Wicked” was excellently produced by Tom Krüger and contains one of the best songs ever written by S.D.I. : “Comin' Again”, which is not only catchy as hell but also takes a bold stance against neofascism. 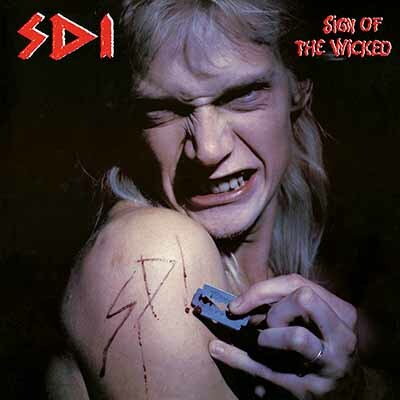 It is a pity that “Sign of the Wicked” did not get all the attention it deserved when it first came out. It leaves so little to wish for – from ultra-fast classic Speed/Thrash metal riffs to the hypnotic title track – music-wise S.D.I. had it all. The thought-provoking cover artwork was realised by Manfred Pollert, a prolific German photo artist. Some people even go so far as to call this album “one of the ten best Speed/Thrash metal releases in German metal history” and to claim that S.D.I. might have become just as influential and technically versed as Deathrow, Target, Mekong Delta and Coroner. What is singer Reinhard's opinion on that? “They are right! It’s the best S.D.I.-album for sure, up to now. It contains all the S.D.I. classics we’re known for, like 'Comin' Again', 'Sign of the Wicked', 'Fight', 'Alcohol' and of course 'Megamosh'. 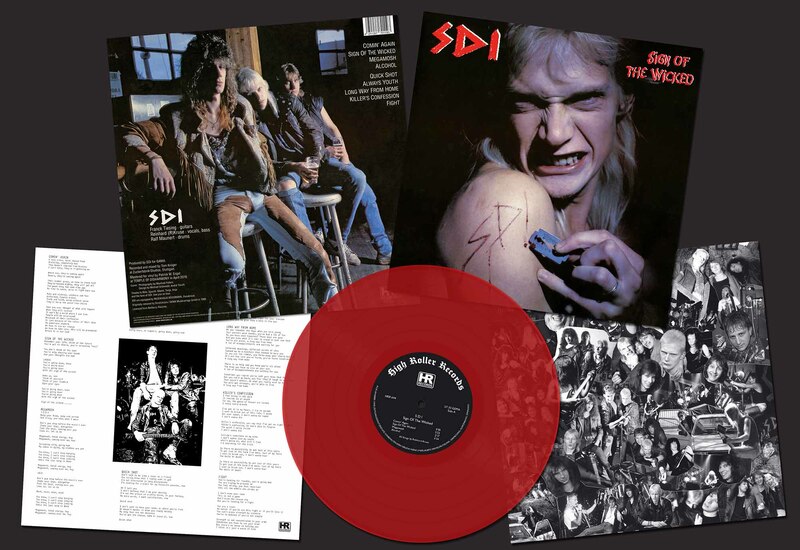 Together with a booklet containing pictures, lyrics and stories, this is a must have for S.D.I.-fans.“ This leaves little to add. Thank you, Reinhard.